Tired of group incentive travel as a way to recognize? Employees these days have less flexible schedules, are busier and you always have those more experienced travelers who don’t want to visit the same place twice. How do you make everyone happy and keep the price tag manageable? How do you handle the change in rates and availability with airlines, hotels and other vendors? 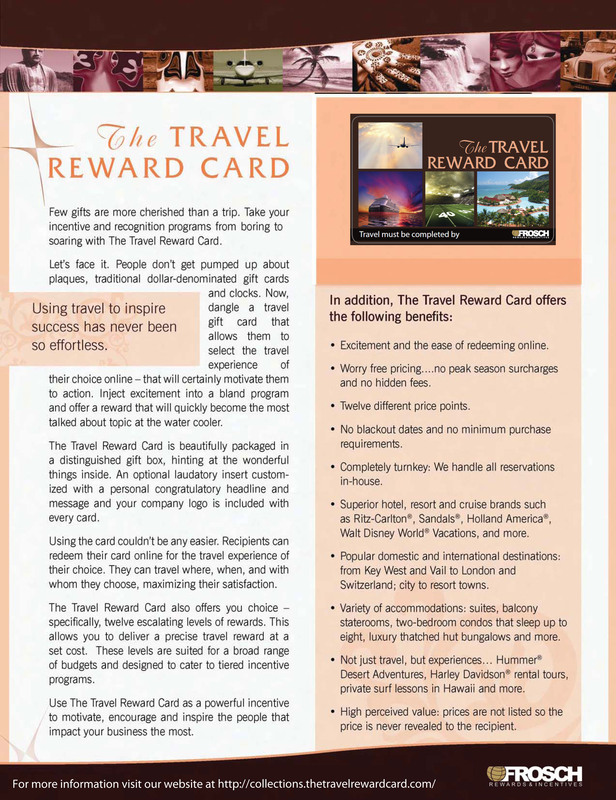 We created the ultimate solution: The Travel Reward Card™. 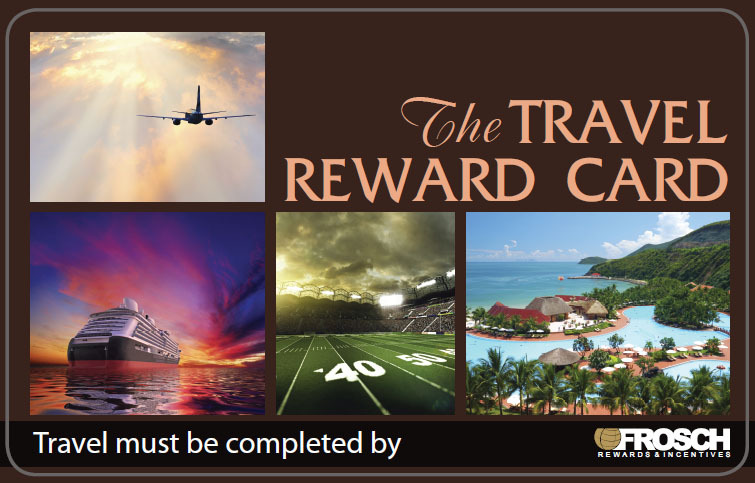 The Travel Reward Card™ is a turn-key individual incentive travel award that allows you to deliver precisely the travel reward that was promised at the cost you budgeted. It allows your recipients to redeem their card online for the travel experience of their choice so they can travel where, when and with whom they choose.